Do you need to build a business website, but don’t know where to start? Should you build it yourself or hire outside help? What information should your website contain? Who will be your target audiences? Will you sell products online? Blog? How do you choose a domain name and a host (and what are they?) 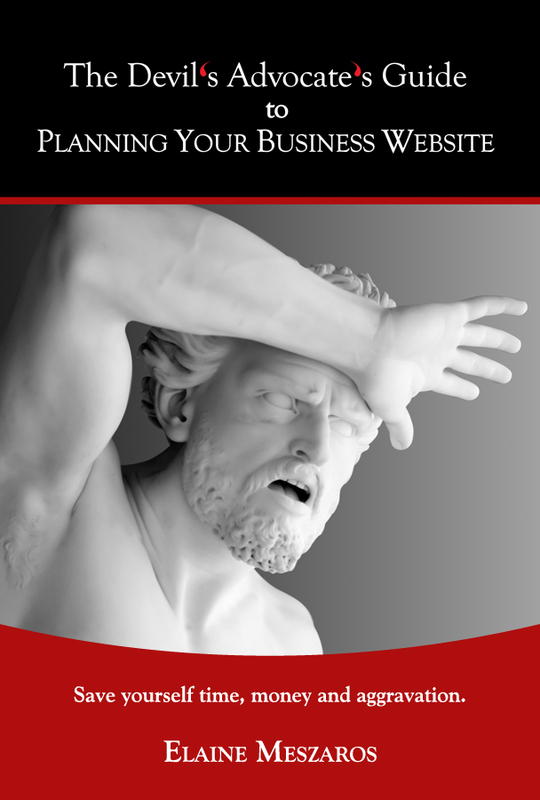 The Devil’s Advocate’s Guide to Planning Your Business Website takes you from start to finish on creating your business website. It serves up a hearty helping of needs assessment questions, a side of advice and a soupçon of snarky anecdotes. Purchase on Amazon in print or Kindle!